The lightweight design and low ear pressure make the 9H so comfortable, it feels like there's nothing there at all. A second internal enclosure is sealed around the back of the speaker creating a closed design typically only found in high-end audio studio headphones. 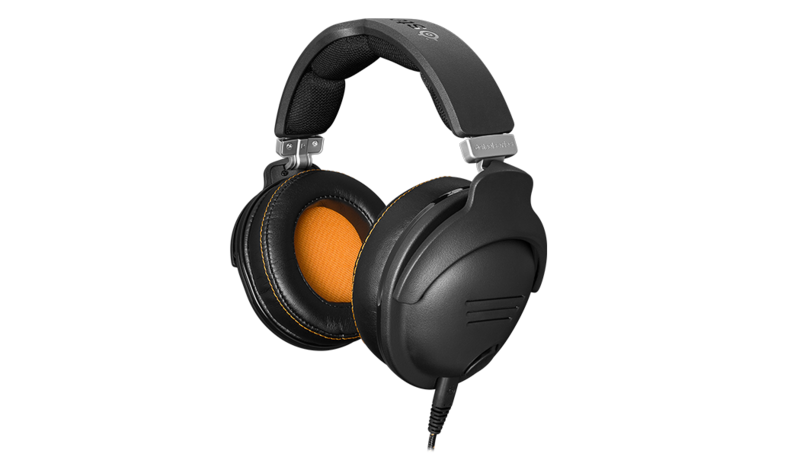 When coupled with the extra-padded ear cushions it creates a level of noise isolation unlike any other headset in gaming. This allows you to hear the in game sounds and your teammates over the roaring of the crowds. A custom-engineered soundscape features a wide dynamic range, with audio drivers made with a high-grade mylar film, used to further perfect the sound with added clarity and no distortion. The included USB soundcard also has 7.1 sound via Dolby's ProLogic IIx and Dolby Headphone tech, as well as a configurable 10-band EQ. The advanced USB sound card also enables the noise cancellation capabilities. This active noise-cancelling, which allows your team to hear you above whatever is happening around you.